The intention behind these ending theme posts was to step away from the series for a moment and take a breather, look at everything that's been going on, and maybe catch up on some other events going on elsewhere in the fandom. With a four-month gap between movies and plenty of ways to get my thoughts on recent events, this probably isn't necessary. But since it turns out each movie will likely have a new ending theme, why not? We're about halfway between movies now and we have a poster, a teaser and a first trailer for the new movie (link goes to translation). All of them have their own elements that raise significant questions. Together, they prove to be just the answer we're looking for after Reunion. The first movie reunites us with the characters, illustrates some of their personal problems and introduces us to the big crisis affecting their world. While its pace, accessibility and other issues can be called into question, Reunion did what it needed to. At the same time, it's clear that the second movie will need to do more. We're all caught up on the kids and saw how they operate in a fairly simple job. Now it's time to put them through something serious. Everything we've seen so far suggests an escalation, particularly concerning Joe. His lack of participation in the first movie was frustrating, so it's important that this stress over exams is a serious character arc for him. As the oldest, it makes sense for him to be the most willing to abandon a role that defined his childhood in favor of the preparations that could define his future. Exploring this not only embodies what tri. is shooting for, it prevents Joe from falling into the same sinkhole that limited his screen time in other Adventure movies. And while Mimi didn't suffer for screen time (heck, she stole the last two episodes), hints of a deeper role for her are encouraging. After all, as much as we love her portrayal in Reunion, that's only half her character, and not the half that makes her so great. Imperialdramon's appearance in both the poster and the trailer is an encouraging sign that we'll get some clues about the whereabouts of the Zero Two kids. This series is squarely focused on the Adventure eight. As such, it would have been totally understandable to write the season two kids out in movie one and toss them back in at the end. The mystery surrounding their disappearance makes that impossible. We need answers, and those kids will haunt everything until we get them. 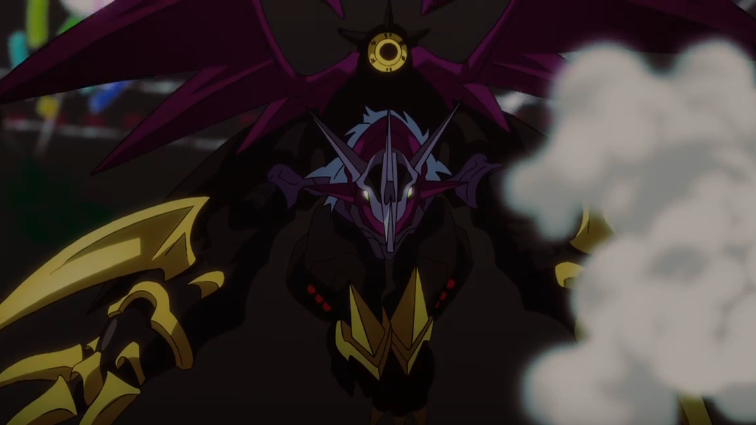 Imperialdramon is the bigshot Digimon of that season; him showing up but getting no clues to where where his partners are would be downright unforgivable. The trailer in particular was very effective at raising even more new questions to the ones we already had. Why is Gomamon dressed in drag? How quickly will Leomon die this time? And the big one- what's going on with this Kaiser imagery? History suggests that it's Ken. An enhanced image from the lab guys and advanced facial recognition software suggests Taichi. These are the leading theories and both of them are, quite frankly, insane. No matter what it is (barring some dream sequence copout), it's going to be crazy. Our ability to speculate and wonder who and how this could have come about is already exciting, and the reveal could truly be the dramatic gut punch we're waiting for. Still not my favorite song, but the new beat freshens it up a bit. 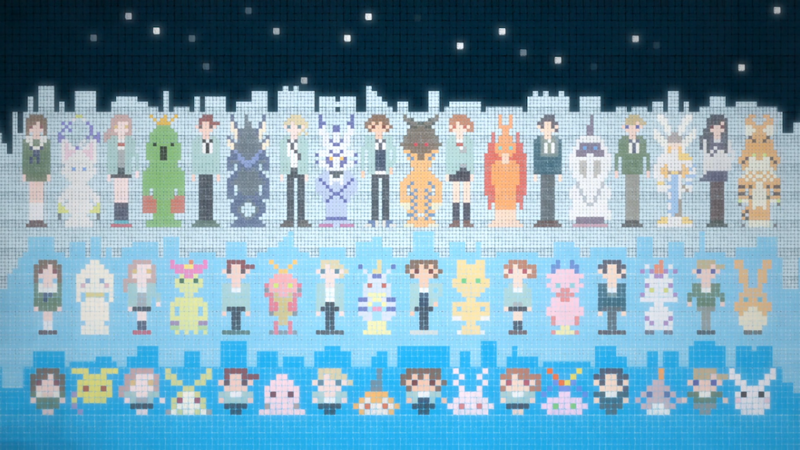 The pixel art is cool (especially the allusions to the original ending) but they missed an opportunity by not showing the tinier versions of the kids in their outfits from the first two seasons. Bonus points if this clued you in that Meicoomon was an Adult! I have an younger brother called Jim, he would die to be take part in this. Movie 2 is want is waited with a lot of zeal and zest like never before. Thanks for sharing this great post with us.